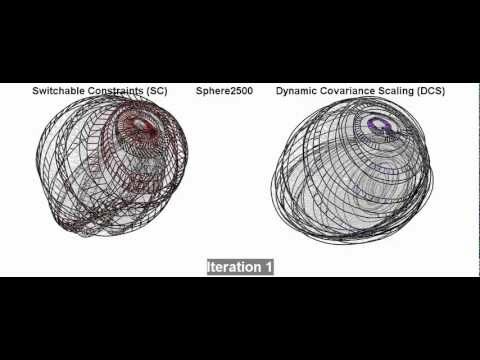 A robust map optimization approach based on dynamic covariance scaling has been developed an published. Here an example video that illustrates optimization under data association outliers. 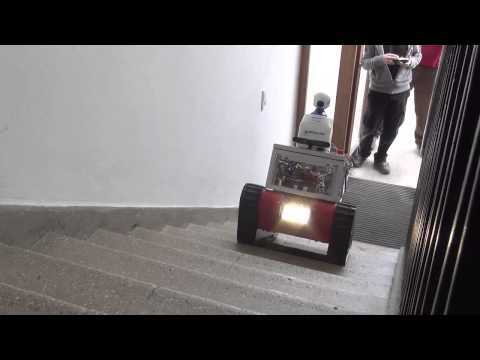 In this video we show an early prototype of the ROVINA robotic platform climbing stairs during the first integration week in Freiburg. We had a successful Kick-off meeting in Rome. Thanks to the University of Rome for the great meeting. First developments of the Kinect-based traversability analysis show promising results in the first catacomb mapping run (green=traversable; red=non-traversable; yellow=too uncertain). The consortium has been successfully testing the homing catabilties of the ROVINA robot even in cases in which the mapping system fails. A short example is shown in this video. ROVINA stars on the Italian national TV! If you missed the report when it aired, follow the link to the recording on the RAI news website. 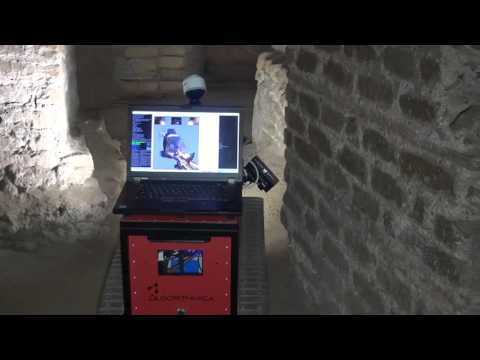 Here are some snapshots from our preliminary sensor analysis in a Catacombs like environment, that include simulations of the RE05 Lidar and of the Asus Xtion. Some pictures of the first stable prototype of the ROVINA robot as presented during the first review meeting. ROVINA receives two DigitalHeritage 2015 Expo Awards! 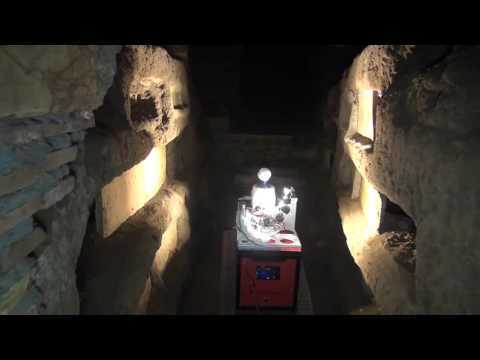 Today we used the robot of our laboratory to collect the first test dataset in the S. Priscilla catacombs in Rome. Forget Indiana Jones: Here Comes The Robot Archeologist. Forbes claims that the ROVINA project is better than Indiana Jones. Learn why by reading the great article by Federico Guerrini.